The Best Heliskiing In New Zealand. And some of the best heliskiing in the world..
High Peak Heliski would be nothing if it weren't for great heliskiing. And by great, we mean world-class. Seriously. Many of the guides at Methven Heliski (our exclusive heliski providers), also guide in vaunted heliski locations as Canada, Alaska and Greenland. They rate the terrain on offer in our own Arrowsmith and Ragged Ranges as some of the best heliskiing in the world, period. And we hear this every single season when we host experienced heliski pundits from all over the world. There's no denying that while it can be great, heliskiing in New Zealand can also be fickle, because of the unique geographic conditions here. If you're coming all this way - from the US, Canada, Europe, Asia - or wherever in the world you are located, you want to be assured you're going to have the trip of a lifetime. And that's what we provide - every time. Which is why we are up there amongst the top heliski destinations worldwide. Read on to learn more. New Zealand is a couple of small islands in the middle of a huge ocean. As a result, we have a maritime snowpack, like Alaska. With most of our snow arriving via the prevailing westerlies that blow in off the Tasman Sea. The Arrowsmiths are located just east of the Main Divide in the narrowest part of the South Island, meaning they catch all and every foot of snow coming from the west. This is an important factor, as most of the South Island's ski and heliski areas rely on much less frequent southerly storms. We are often skiing foot upon foot of fresh in early July while other areas are still waiting for enough snow to open. The nature of New Zealand's weather means that you could experience a range of snow conditions on any given day. Even in a single run. Your guides will work hard to find the best snow conditions based on safety, your ability and what you want to ski. It's not uncommon to ski thigh-deep powder and silky corn on the same run. 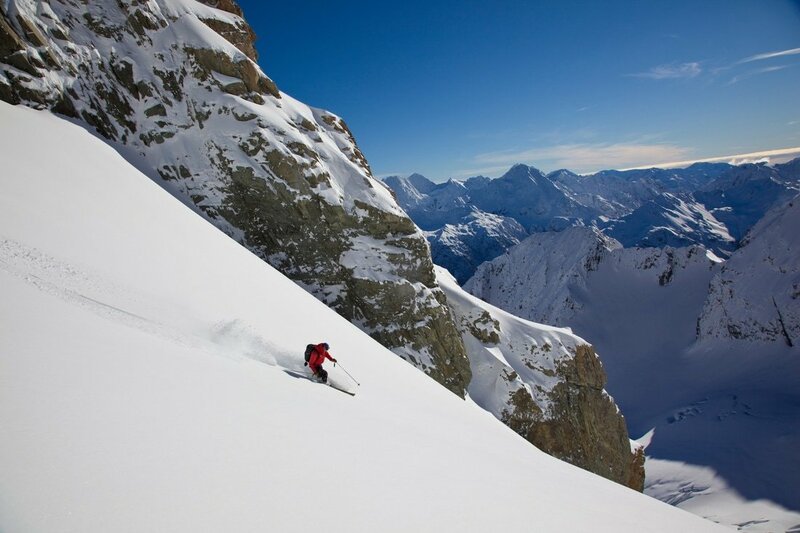 July to mid-August generally brings colder powder snow conditions, while from mid-August into September you're likely to find some incredible corn snow in the sun with plenty of powder usually available on shady aspects. Whatever the snow conditions, a day out in New Zealand's big mountain terrain is always awesome. Read on, or visit our heliski prices and packages page to pick your heliski package. So what makes the terrain we offer so good? Much of it has to do with basic facts. The Arrowsmiths and Raggeds are big, steep and extensive. Relative to the number of skiers we host annually, there is a vast amount of terrain available compared to other New Zealand heli operations and you should expect to ski fresh tracks for every turn. The ranges are also glaciated, meaning there is always snow up there year round. The higher elevations, up to 2781 metres at Mt Arrowsmith itself (that's well over 9000 feet) are the reason for this and being on average 2000 feet higher than the ski resorts means, well, 2000 feet more quality skiing per run (that's a lot, by the way). Over 250 named runs average 850 vertical metres (2800 feet), with some over 1200 vertical metres (nearly 4000 feet) and the longest run being 3km (1.86 miles) in length. We are part of a smaller, more intimate operation than the larger Southern Lakes operators and are well-known for providing the best small-group, big-mountain heliskiing in New Zealand. With a vast area to ski and limited numbers to ski it, simple maths should suggest that our guests should expect consistent untracked lines and a feeling of being one of a select few - every single time we head into the mountains. 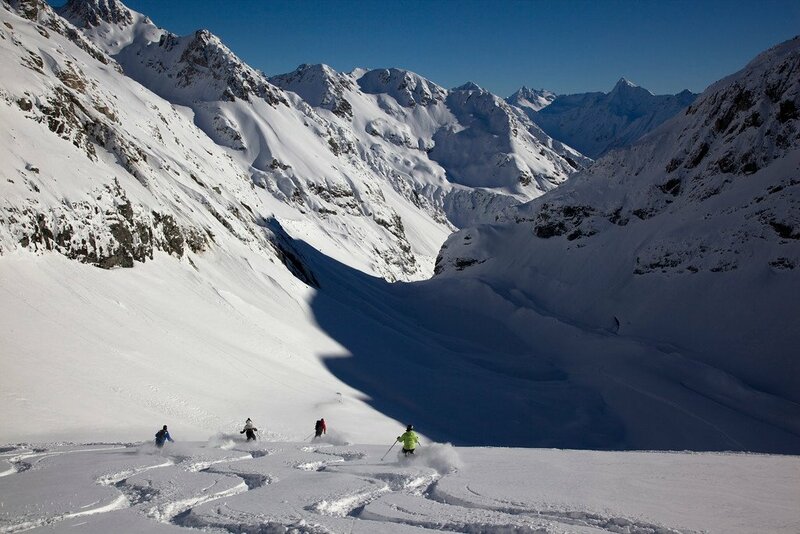 ​Read on, or visit our heliski prices and packages page to pick your heliski package. Helicopter operations are headed up by Chief Pilot Philip Todhunter. 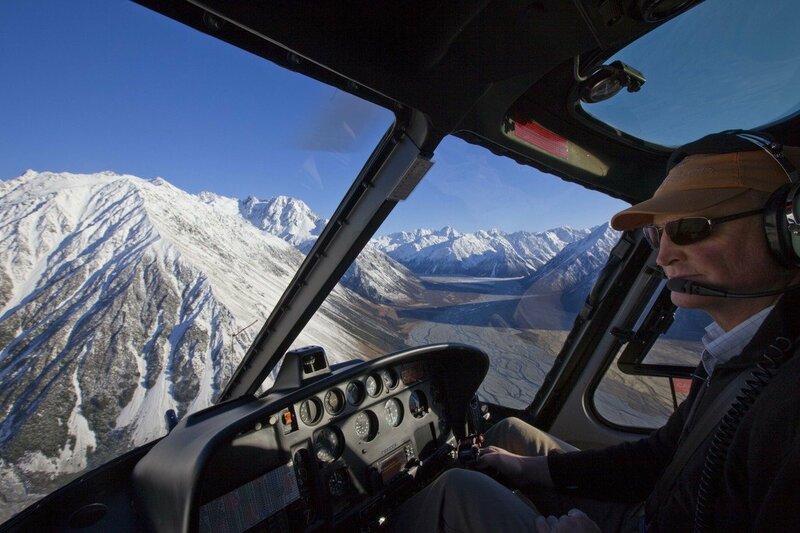 Philip is one of New Zealand's most experienced heliski pilots with an intimate knowledge of the area and terrain - after all, he owns much of the land you'll be skiing on. 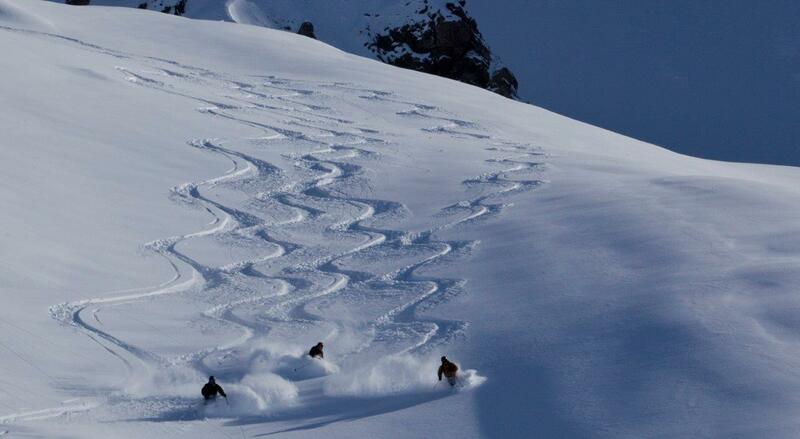 All Methven Heliski pilots are highly experienced, professional mountain flying experts. The helicopter of choice is the Eurocopter / Airbus AS350 Squirrel. These powerful turbine aircraft are perfectly suited to heliski operations and it's no surprise that they are utilised throughout the Southern Alps. Helicopters are provided for the heliski season by The Helicopter Line. 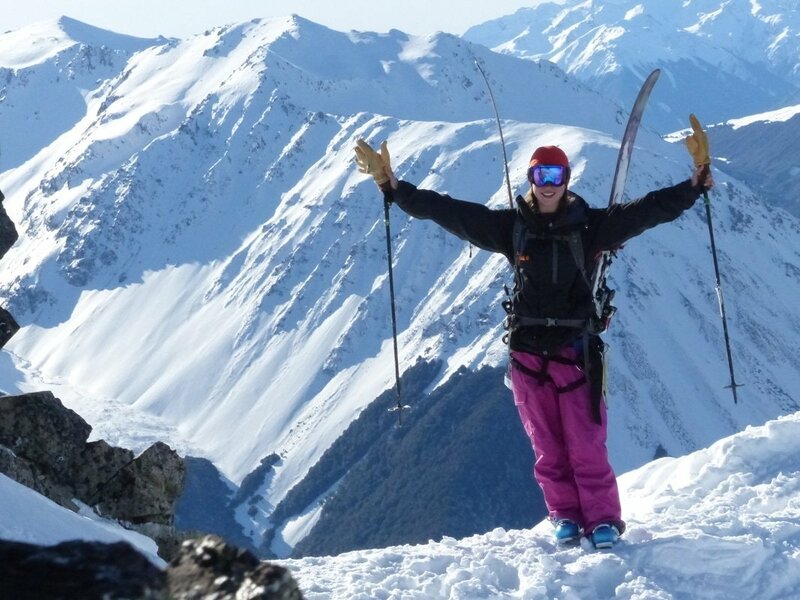 Alpine Guides, the crew that run Methven Heliski, are some of the most qualified, experienced and respected mountain guides in the global heliski and mountain guiding industry. All the guides are trained to internationally recognised standards through the NZMGA (New Zealand Mountain Guides Association) Training Program, or meet the requirements of the New Zealand Heli Operators Group. To these guys and girls, heliski guiding is not a job, it's a way of life - something that is evident by the time they dedicate to staying on top of their game from season to season, winter to winter. Trust us, when you ski with these guys, you could not be in better hands. All that white stuff has to come from somewhere. When the westerlies visit it generally means that flying is hazardous and we have a down day as a result. 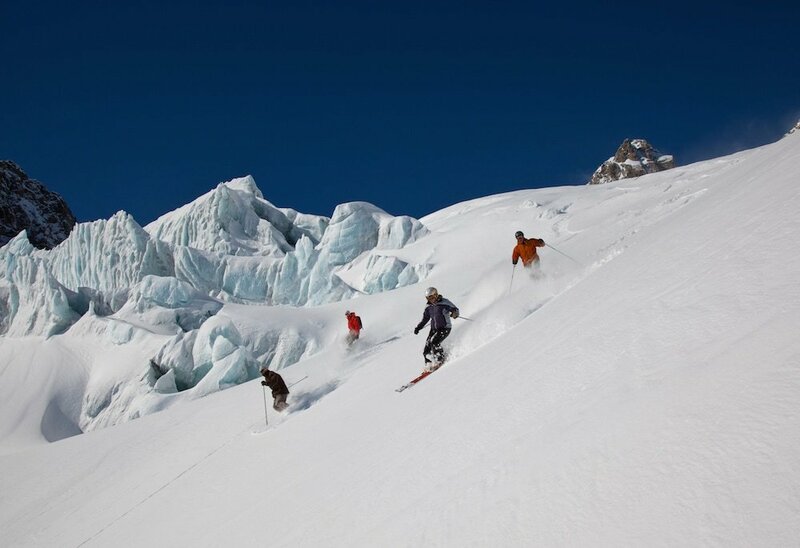 Luckily, we have the best off-piste lift-accessed skiing in New Zealand right on our doorstep. The Canterbury region is home to the famous 'Clubbies', offering big-mountain terrain, low skier numbers and a relaxed, non-commercial vibe to anyone keen to tackle the inimitable 'nutcracker' tows and wild access roads. As a result, we are equipped with a fleet of fully kitted-out 4X4 vehicles, specialised harnesses, avalanche transceivers and a lot of local knowledge to make accessing the Clubbies a whole lot easier for you. We will show you some truly special places and introduce you to some truly special characters! If the weather goes truly awry, or you want a break from the skiing, we have our own 10,000 acre playground, High Peak Station, where we can go on a 4X4 adventure, have a mid-winter BBQ at a back-country hut, shoot clay pigeons, hunt deer and fish for trout. Whatever Mother Nature throws at us, we will make sure we have fun. Taking it easy in the lodge is never the only option.